Dean Tran was the Founding Dean at Sullivan University College of Pharmacy where he has led the Pharmacy program to a successful accreditation. Prior to joining Sullivan University, he was the founding Chair of the Department of Pharmacy Practice at the newly established Lake Erie College of Osteopathic Medicine School of Pharmacy in Erie, PA. He has received research funding, engaged in scholarly activities with more than 200 articles and abstracts, co-authored 5 book on Nanotechnology, edited books, and has presented expert information at nearly 200 professional and scientific conferences throughout the United States and abroad. Dean Tran initiated a telepharmacy project to explore the delivery pharmacy services to the underserved rural population and founded the InterNational Center for Advanced Pharmacy Services (INCAPS), the first collaborative project between academia and a third party payer (Humana), and also with the Kentucky Retirement System to provide reimbursable Clinical Pharmacy Medication Therapy Management (MTM) services and MTM certification for students on rotation. He has also established collaboration with the Louisville Metro Health Department to provide assistance with their immunization program for the City of Louisville. He has developed and implemented successfully Clinical Pharmacy MTM all over the US with diverse hospital settings. 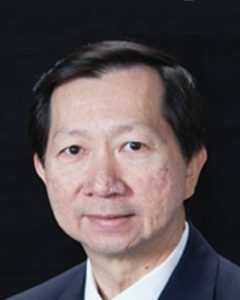 In January 2012, Dean Tran was promoted to Vice-President of the College of Health Sciences at Sullivan University while retaining his title as Founding Dean and Professor of the Sullivan University College of Pharmacy. In this role, he oversaw all current health-related programs (Pharmacy, Nursing, Physician Assistant, and Health Science General Education). Within the Metro Louisville community, Dean Tran was selected to the Louisville Healthcare Fellows program; has received an appointment to The Honorable Order of Kentucky Colonels; has received the 2009 MediStar Leadership Award from Medical News, and has been honored yearly since 2008 as a Business First Health Care Partner. He has served on the boards of the American Heart Association, Leukemia and Lymphoma Society, and the Foundation for a Healthy Kentucky. He was the President of the Board of Directors of Asia Institute Crane House. Within the Louisville Asian American community, Dean Tran offered volunteer cultural, physical, and mental development through martial arts instruction. He also founded the Vietnamese-American Professional Pharmacy Association (VAPPA) at the College of Pharmacy. This group was founded to promote health awareness through health education and workshops and to provide health care services to the Vietnamese-American community and other underserved populations.